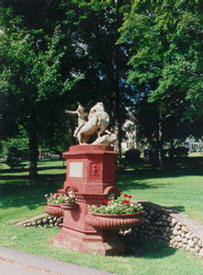 "Huntington Green" includes the actual Green (including the Curtiss Memorial Fountain and gazebo), as well as the surrounding churches, fire house and old cemetery. Attributes: VIEW HISTORIC - Colonial center of Huntington PARK PASSIVE RECREATION - Picnicking FEATURES Curtiss Memorial Fountain. 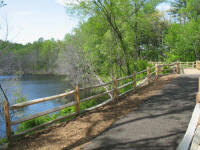 The multi-use Rec Path begins at Pine Lake on Shelton Avenue, near Meadow Street, and winds through the Shelton Lakes Greenway for nearly five miles before ending in Huntington Center. The path passes all three of the Shelton lakes, scenic and history dams and gatehouses, streams (including Means and Curtiss Brooks, interesting rock features, and a meadow. Attributes: VIEW - 3 reservoirs, Lane Street meadow. HISTORIC - Dams built in 1800s. PARK - Greenway. PASSIVE RECREATION - walking, biking. FEATURES - reservoirs, dams, rock features, native species garden, Lane Street meadow. 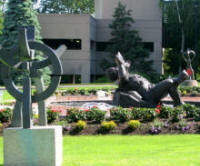 Examples of streetscapes include landscaping and sculptures along Bridgeport Avenue and corporate offices such as the sculptures at the Enterprise Towers (pictured), which includes a reproduction of the Statue of David. This category includes old New England stone walls such as those found along Long Hill Avenue, Soundview Avenue, Birdseye Road and Walnut Tree Hill Road. Stone walls may be vulnerable to development and may be harvested (legally or illegally) for commercial rock. 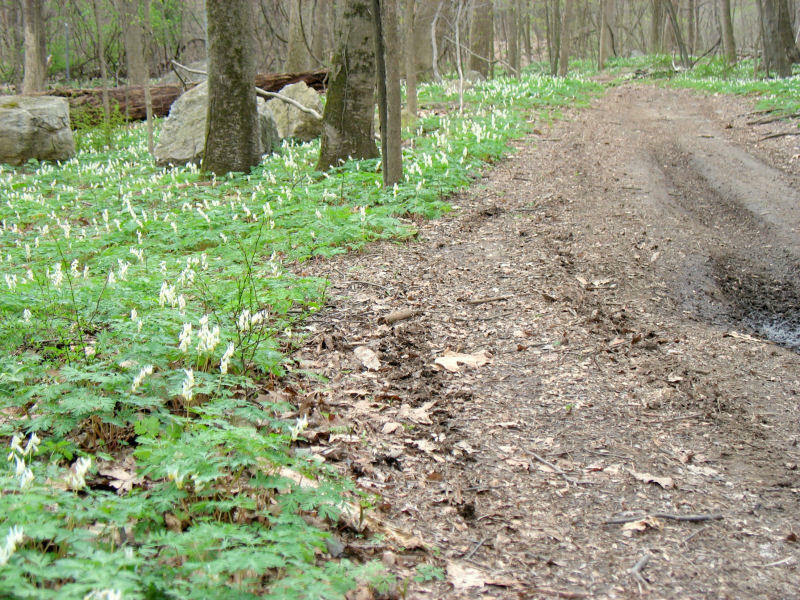 Oak Valley, from the existing Oak Valley Road to Shelton Avenue, now used as a hiking trail called Oak Valley Trail. Old Coram Road, from the Waterview Landing development off of Warwick Road to Nature Lane. 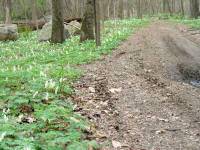 Old Kings Highway, from Mill Street north towards Buddington Road, and from Buddington Road north to John Dominick Drive and beyond, now used as a hiking trail (Dominick and Nells Rock Trails). Old Farm Road, from Indian Well/Burritts Ground Road north, and an unnamed road from Old Farm Road west. The roadbeds are typically lined with stone walls, with sunken treadways and occasional stone culverts. Attributes: VIEW HISTORIC - Colonial era, possibly old Indian roads as well. PASSIVE RECREATION - Hiking. FEATURES - Stone walls, stone culverts, old roadbed. AT RISK - Potential development as well as damage from off-road vehicles. c 2009 Shelton Conservation Commission. Contact webmaster Teresa Gallagher, Conservation Agent, for issues relating to this website.